A lot of filmmakers have successful wives but they don’t enjoy the limelight and hence a lot of people don’t know about them. Here is a list of the Bollywood wives that probably you never knew about. 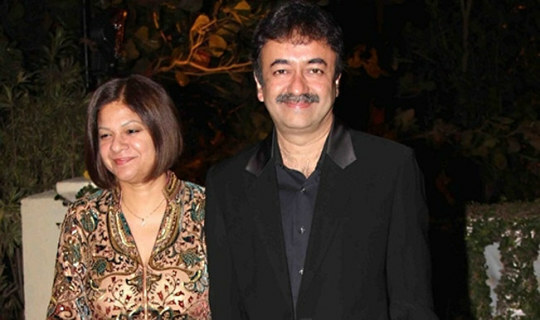 Rajkumar Hirani and Manjeet Lamba : Manjeet Lamba (a punjabi by birth) is one of the senior most pilots in Air India. In fact, Manjit Lamba who’s been married to Rajkumar Hirani for more than 20 years now is one of the senior-most pilots in the country. She has clocked more than 12K miles as a flying pilot both in the international and the national sector, The couple have a teenage son who is 15 years old. Manjit is also credited with flying the dignitaries in India including the Prime Minister numerous times. Irrfan Khan-Sutapa Sikdar : Irrfan Khan’s Bengali wife is one of the best known script and dialogue writers that we have in Bollywood. Because Sutapa prefers to remain anonymous, nobody knows that she is the wife of Irrfan Khan. The couple have two sons Babil and Aryan. Sutapa wrote numerous episodes of Banegi Aapni Baat, the TV serial which is now known as iconic in the TV history. Sutapa is an alumni of the famous National School Of Drama and also wrote the dialogues of the famous Bollywood movies like Shabd (1999), Supari (2003), 1999 Alvida (TV Series) and of course the most well known 1996 Khamoshi: The Musical . 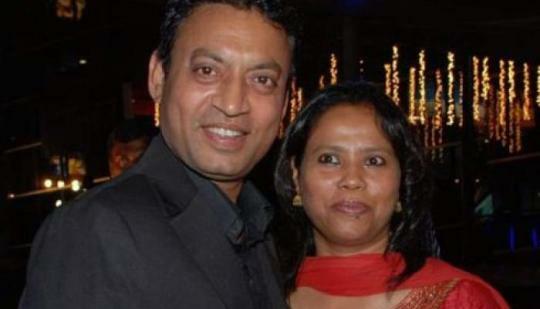 Irrfan and Sutapa fell in love when he was in NSD Pune. 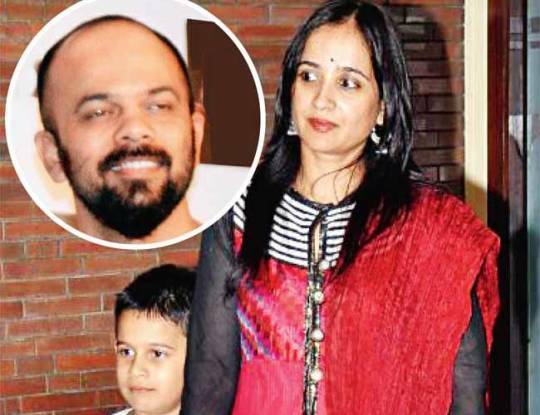 Rohit Shetty-Maya More : Rohit Shetty tied the knot with Maya More, a banker, in 2005 and the couple have a seven-year-old son. Maya More is a banking professional and is at a senior position (Vice President) with a foreign bank. There were talks that she had resigned from her job to concentrate on her family. This was not confirmed by Rohit or Maya. Maya is one of the most respected banking professionals in the country. 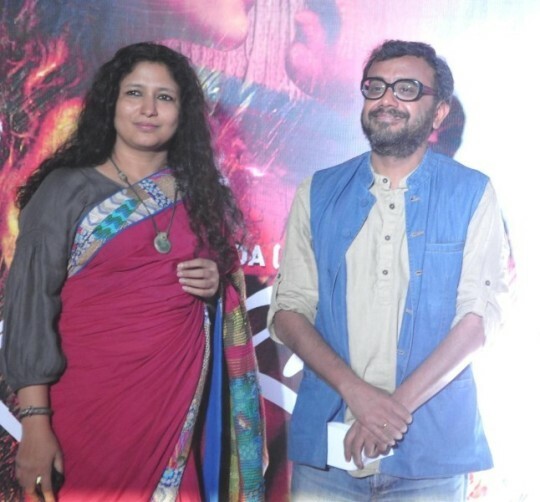 Dibakar Banerjee-Richa Puranesh : His wife, Richa Puranesh is a marketing executive and still consults on the go. Richa advises Dibakar on marketing and that is why most say that a director who’s consumed with the art of making cinema is today one of the best packaged and marketed directors in Mumbai. Dibakar knew how to make great films like many other filmmakers in Mumbai. 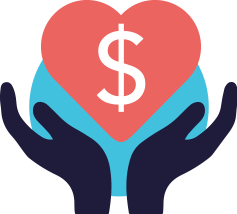 But what made the difference was his wife who brought in her expertise as a shrewd marketing and branding professional. They have a daughter together. 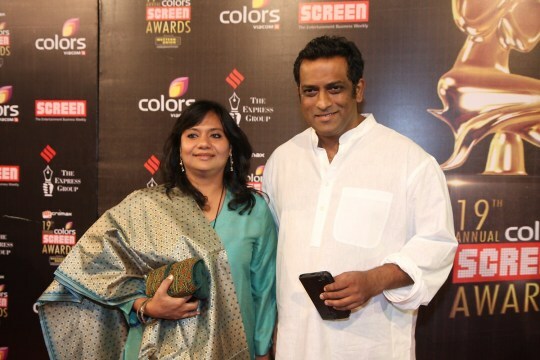 Anurag Basu-Tani : Tani was Anurag’s boss, technically speaking. She was a well known multi-media and advertising professional. The director is said to have found love in his boss, Tani while working on a documentary in Guwahati when he saw her savouring a Bengali dish in desi style at a five-star restaurant. Tani Basu parents never approved of Anurag because apparently he was very bad looking. Anurag makes it a point to dedicate all his awards to her. The couple has two daughters, Ishana and Ahana. Bollywood, are you looking at this?